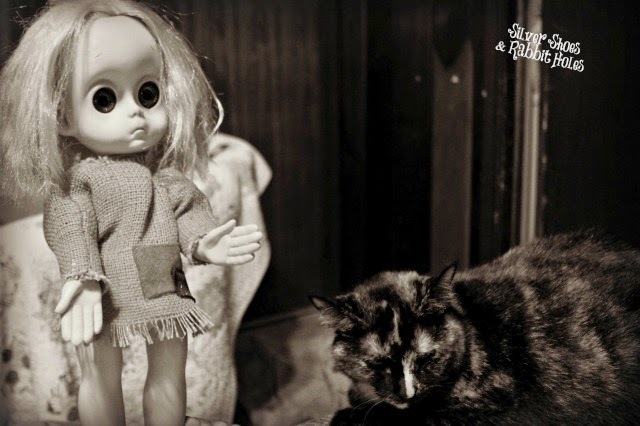 Welcome to my 2014 creepy doll party! After last year's fun with pediophobia, I felt another installment was in order! 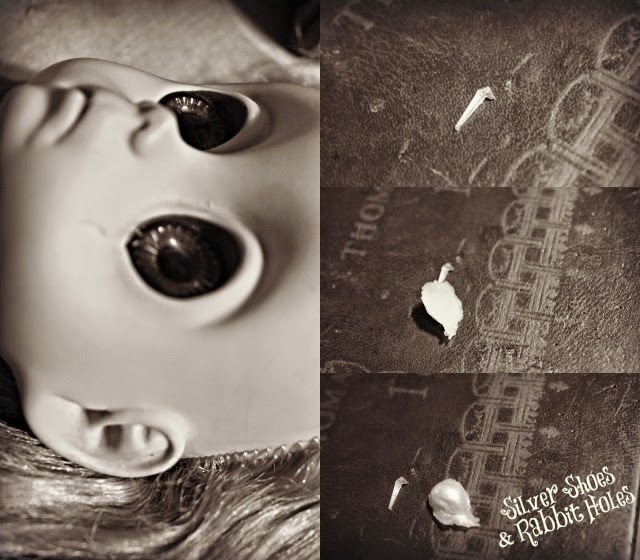 I love that Little Sis loves collecting doll parts to use as decor. I love that she decided to share them with us for Halloween! She put them out for display on the fireplace blower. 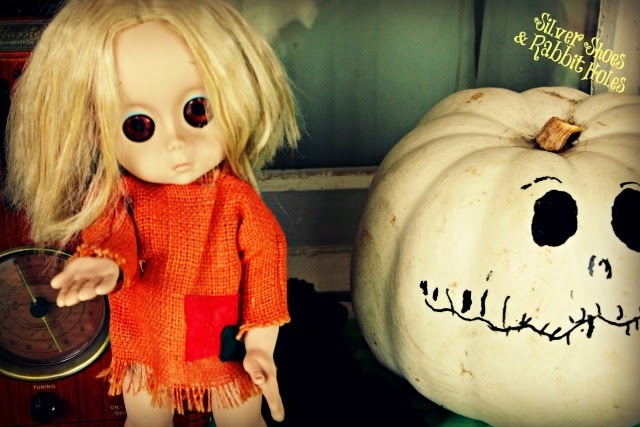 I don't have quite as many creepy doll books to share with you this year. We saw a couple more at the Scholastic Book Fair this year, but we already owned The Doll Graveyard (see below), and only opted to purchase Doll Bones, which Big Sis is still reading. This graphic novel isn't terribly scary, but it is definitely suspenseful and interesting. 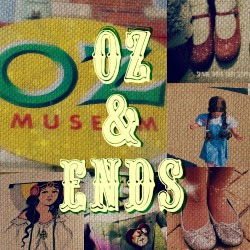 One evening, a star explodes, and a tiny spark flies through the roof of an old abandoned house, and lands on the forehead of an old forgotten doll. 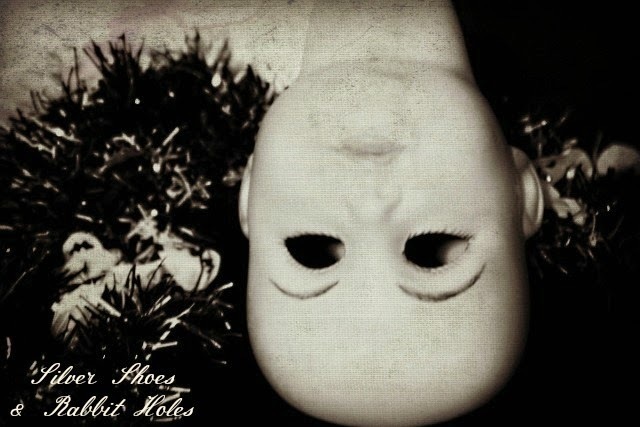 The doll comes to life, but in a see-through, ghostly shape. An old cat, Jasper, is there, and offers to help her escape the attic, as the house is scheduled for demolition the next day. 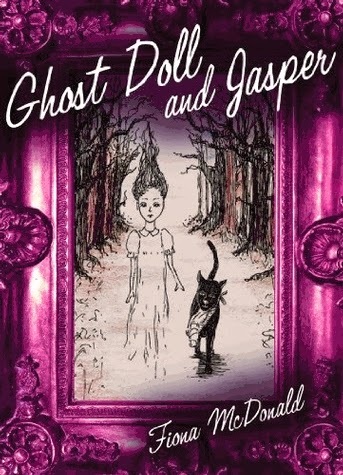 Jasper and the Ghost Doll wander the streets, looking for shelter (for her) and food (for him). Meanwhile, a very creepy doctor and his army of pumped-up rats are on the hunt for the stardust, and it's up to Jasper and his alley cat friends to save the day. A very different sort of read, but I liked it! 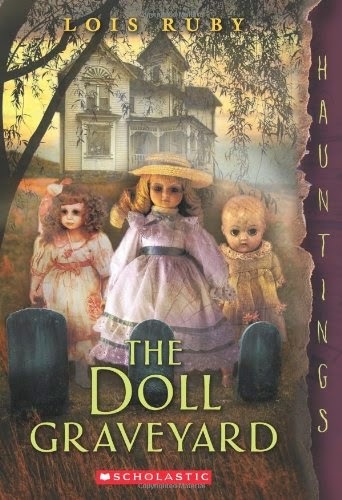 The Doll Graveyard by Lois Ruby. We bought this one during a summer visit to Barnes & Noble, and we're reading it aloud right now. (Shhh - I skipped ahead and finished the book today. Don't tell.) This one is part of a new series by Scholastic called Hauntings, and when we saw the cover, we laughed and knew we had to add it to our spooky book collection. 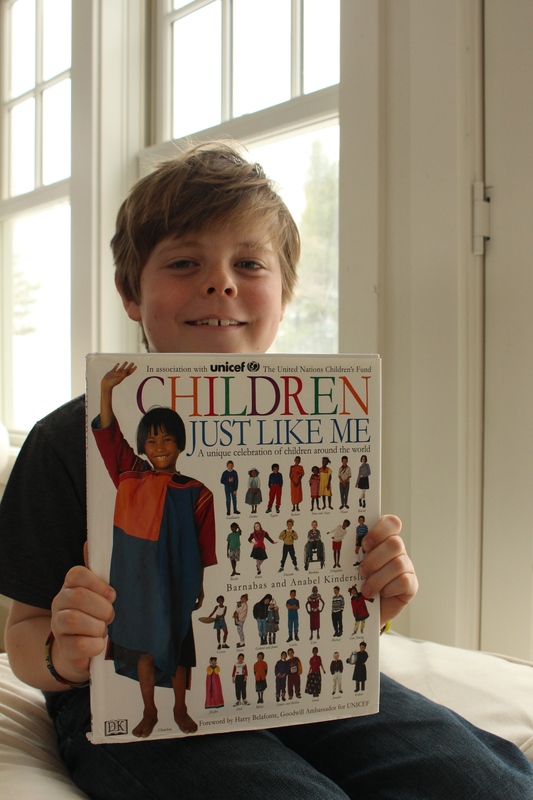 In addition to the fabulous cover, the book was written by Lois Ruby. Ruby lives in New Mexico now, but when I was growing up, she lived right here in Wichita! She would visit schools and do Q&A with students. This isn't one of her best-written books, but it's a lot of pulpy fun. Shelby's Great-Aunt Amelia dies, leaving Shelby's mother an old sprawling house they didn't even know she owned. Shelby's parents are divorced and her father has remarried, so Shelby is already an angry mess. 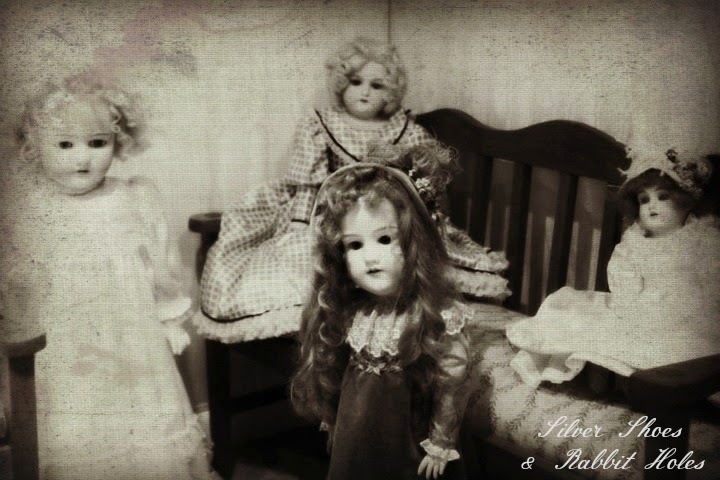 Upon arriving in the museum-like house, Shelby and her younger brother discover a strange dollhouse in the attic, an exact replica of their house. But it's what they find in the backyard, a doll graveyard, that's especially chilling. Especially when the dolls fail to stay buried. Or when Shelby starts to hear voices. The ending was too quick and neat for my taste, especially since all the conclusions seemed based more on assumptions than proof, but for kids looking for a fun Halloween scare, it does its job. As far as stuff to watch goes: I'm not sure if you can view it outside of the US - there is no YouTube link - but the girls have been watching Nickelodeon's Deadtime Stories on Amazon Prime.Instant. It's kind of the modern version of Are You Afraid of the Dark?, and they've watched all the episodes of that that are available. (They've also watched some episodes of Goosebumps and RL Stine's The Haunting Hour on Netflix, but I had to put a stop to it. The episodes were causing sleep problems for Little Sis!) 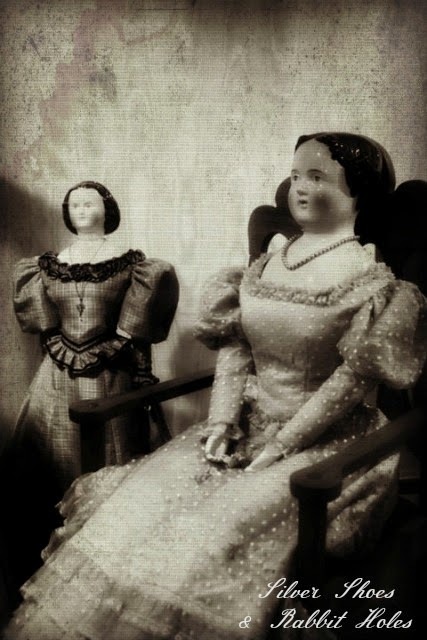 Anway, episode one of Deadtime Stories is called "Grave Secrets," and has to do with a creepy doll, buried in a backyard. (Shades of The Doll in the Garden...) The full episode is posted on the Nick website, and it's on Amazon. The girls love it. Apparently, the show is based on a book series, and there is a book for this one, also called "Grave Secrets." I should check those out someday. Oh, and if you want to read something scary-fun, check out the real story behind the movie Annabelle. Considering the number of Raggedy Ann dolls in my house, I think the original story seems much scarier! Last, I thought I'd leave with a sneak peek at Little Sis's birthday present. Her birthday is Saturday, All Saints' Day - the day after Halloween. For over a year now, her dream has been to own a Little Miss No Name doll. How on earth did a child born in 2007 ever find out about Little Miss No Name, a strange doll from 1965, you ask? Well, Little Sis loves to sit on my lap and look at old doll photos on the computer. 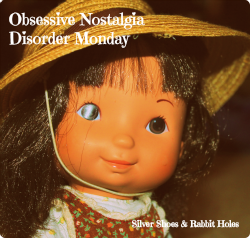 Antique bisque and china dolls, like the ones at the top of this post. 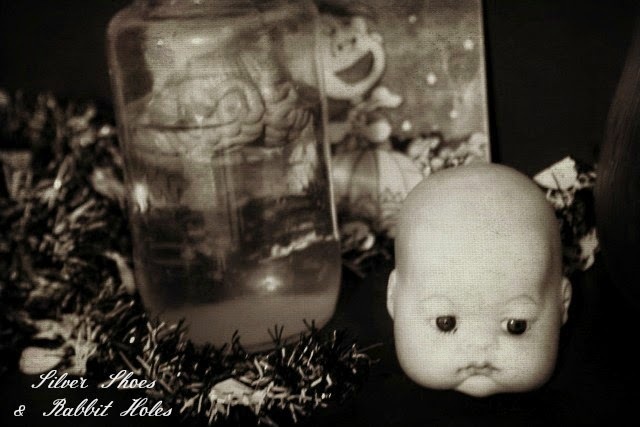 DyDee Babies from the 1930s. (The wetting mechanism eroded the composition, so few of these dolls are in decent shape today.) 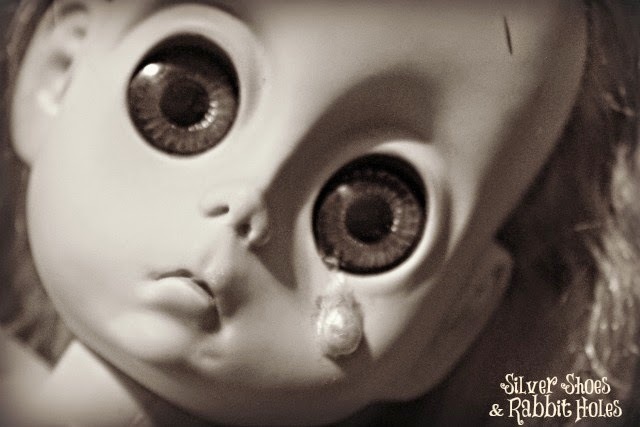 After a friend of ours compared photos of non-smiling Little Sis to the Big Eye paintings of the 1960s, we found ourselves looking at photos of dolls inspired by Margaret Keane and her contemporaries: Blythe, Susie Sad Eyes, Lonely Lisa, Love Me Linda, and Little Miss No Name. Little Miss No Name also made appearances on Modern Kiddo and Babble. So I'd been checking eBay off and on for a year, trying to get a hold of a Little Miss No Name that was not astronomically priced, and lo and behold, I finally managed to win one! Not gonna lie. She creeped me out. She's much larger than I expected, and those eyes? Utterly ginormous. But she was clean! No bad smells. Okay, that may have been an original tear, but it had to go. The peg had broken off into the hole under her eye, and someone had glued the tear down. It was gross. It looked like someone hocked a loogie on her face. I was worried about marring her, but I lucked out. I used a flat pocket knife to dig out the peg, and the tear popped right off. Big Sis and I gave her a bath, and I worked with her hair as much as I could. I'm not sure what else I can do. Her dress is rather orange, while it shows up as brown in every picture I've seen. I'm thinking it might be a replica. They sell replica tears and headbands on eBay, so I may buy some down the road. Mabel was unfazed by Little Miss No Name. Here she is, begging on the front porch. Poor Little Miss No Name. Someone is going to be thrilled to meet her, this weekend. Doesn't she look perfect among the pumpkins, though? 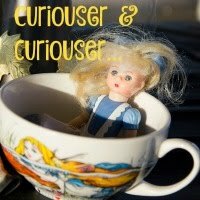 Note: The photos of the china and bisque porcelain dolls were taken at the Dorothea B. Hoover Historical Museum, Joplin Museum Complex, Joplin, MO. A fabulous place to visit, should you ever find yourself in southwest Missouri! AAAAAAAAAAH SO MUCH AWESOME!!!!!!!!!!!!!!!! where do i start. 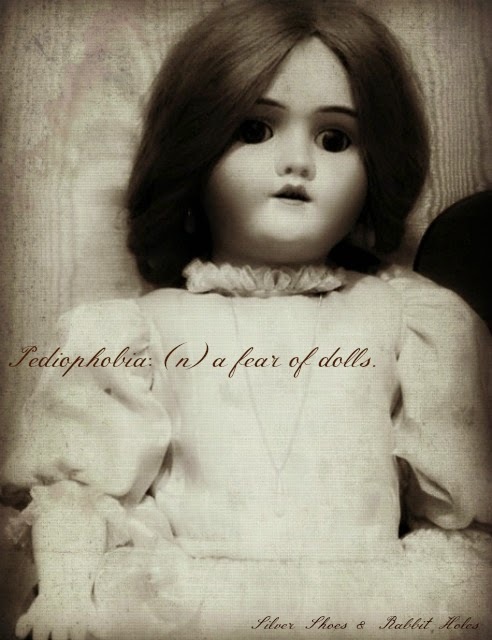 LOVE the doll pix! LOVE your No Name doll that is SO SCARY and oh how I adore your child!! I hope she loves it! 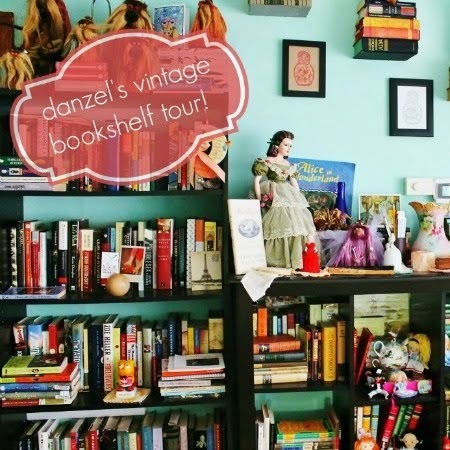 Ok those books -- SIGN ME UP. And Julia was just tonight saying that there was an RL Stine show, but from what you're reporting, I think we'll steer clear of that one and watch the other Deadtime Stories thingy on Amazon! Yeah, The Haunting Hour is especially creepy. Little Sis kept watching episode after episode, then she'd freak out at night, so I nixed it. Goosebumps isn't as bad. Deadtime Stories is short - it's a half hour series. They do love Are You Afraid of the Dark?, too. I was supposed to do clowns this year, but since I wound up with more doll books and LMNN, I decided to do dolls again. Clowns have become such a cliche anyway, right? 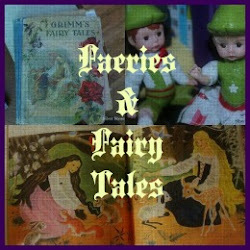 Next year, I'll probably aim for scary fairy tales. Gotta love "The Juniper Tree!" I LOVE your doll posts! And this one is awesome! OK, Little Miss No Name is really creepy, geez those eyes with no whites! Hope your little one loves it. 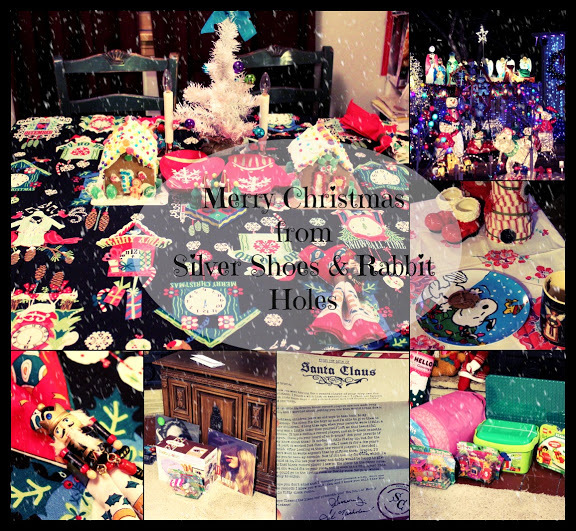 Love that she uses doll parts to decorate, she's such a cool kid! 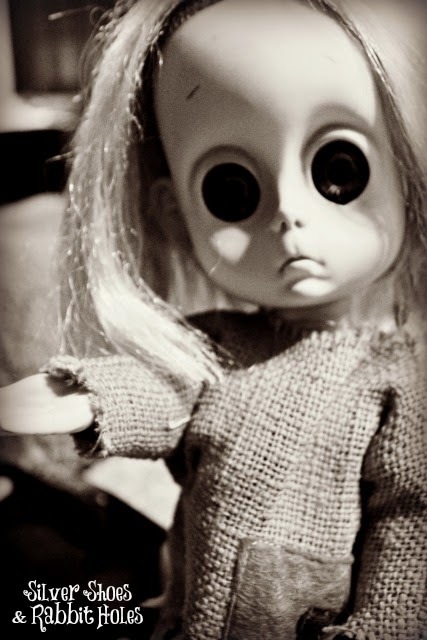 I love Blythe dolls, but they're insanely expensive too! Oh, and I want to read the books, of course. Oh. My. Goodness. When Melissa from Julias Bookbag said you won Halloween I had to see for myself. And YOU DID. 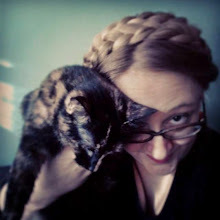 This post is amazing and I immediately sent it to my pediophobic husband as my own special treat to him. Ha! Love it. Haha! So mean. I love it!